Young Sara is forced to attend Miss Minchin's select seminary for young girls in London when her father gets shipped off to war. Miss Minchin, the director of the seminary becomes a bit apprehensive about Sara's stay with them because her father said that she is to have the very best of everything. When a note arrives that says Sara's father died, things change for the worse. Poor Sara is forced to live the life of a slave. She eventually meets up with an Indian gentleman who helps her to gain her life back. 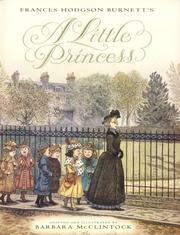 Burnett, Frances Hodge, “The little princess,” Children's Picture Book Database at Miami University, accessed April 20, 2019, https://dlp.lib.miamioh.edu/picturebook/items/show/8949.